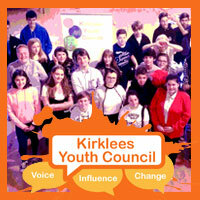 Kirklees Council should review our approach to creating and sharing democratic content. This should involve exploring different and innovative ways of developing content to facilitate dialogue and engagement before, during and after the formal decision-making process. Working with key providers, Kirklees Council should develop a democratic digital literacy pilot as part of a wider civic education programme for young citizens. Kirklees Council should support all our councillors to understand and embrace digital technology. Digital literacy should be a core expectation of the councillor role. It should be part of new councillor induction and councillor development, so that we support councillors in developing their digital skills and confidence, and enable them to play an active part in explaining our decision-making processes to our citizens. Commission members should pilot this approach. Kirklees Council should provide our councillors with a live social media audit that provides details of social media use, online networks and connectivity for the ward they represent. Kirklees Council should provide our councillors with the appropriate IT hardware that they need to be effective in their role. Working with key partners and providers, Kirklees Council should use the learning from international examples to develop an approach for blending online and off-line engagement processes, as part of strategic planning, policy making and decision-making. This should form part of a pilot that will explore innovative approaches to planning and priority setting in a particular area of Kirklees. Kirklees Council should use the evidence gathered by the Democracy Commission to re-define the role profile for Kirklees councillors, so that this reflects the changing and long term expectations and needs of the role. The revised profile should include core expectations, linked to ongoing performance. These should be used to demonstrate the impact that councillors are having, particularly in their wards. Kirklees Council should make performance evidence about what councillors do available to the public, in an easy-to-digest format. Kirklees Council should promote the role of councillor to help Kirklees citizens understand the role and to encourage citizens to come forward and stand as councillors. We should positively promote the councillor role based on the real life experiences of our councillors, and demonstrate how being a councillor can enrich a person’s life. Kirklees Council should promote the role of councillors to staff members in a structured and ongoing way, as part of wider cultural changes both with the council and in our communities. Our staff should understand the importance of the councillor role and how it is an invaluable asset as part of changing and redesigning services. The Local Government Association (LGA) should develop a core national framework for councillors’ allowances, which councils can use now as a basis for determining the rates of allowances locally. The Kirklees Members Allowances Independent Review Panel (MAIRP) should consider linking annual changes in the rate of councillors’ allowances to the pay rate for local government officers. National government should revisit the legislation relating to councillors allowances, in light of the increased expectations now placed on the role and the tensions associated with the current approach to determining allowances. National government, in the context of corporate social responsibility, should address the real challenges faced by councillors who are employed. Kirklees Council should redesign support for councillors in a way that has a greater focus on their wards. This should enable councillors to provide better support for communities in developing effective facilities, programmes and social networks to improve people’s quality of life. Kirklees Council should provide timely information and intelligence at a ward and neighbourhood level to support councillors and communities in working effectively. Building new councillor induction around the core expectations set out in the revised role profile. This should be compulsory for all new councillors but should also be open to all councillors. Ensuring that any councillors who hold a position of special responsibility are fully briefed about the role, the expectations and the core knowledge required to effectively carry it out. Implementing the findings of the councillor group who are currently looking at IT provision for councillors. Political groups (and in particular Group Leaders and Group Business Managers) should be responsible for the personal development of their members beyond what Kirklees Council can support or provide. Kirklees Council should continue to support the innovative approaches we have developed to electoral outreach work as a means of ensuring that registration levels are maintained and continue to rise beyond the period of central government funding for Individual Electoral Registration (IER). National government should amend legislation to introduce the compulsory registration of young people at the age of 16. Kirklees Council should work collaboratively with schools to develop an optional local approach to registering young people at the age of 16. Kirklees Council should work with the University of Huddersfield and local colleges to integrate electoral registration as part of the existing student registration process. National government should lower the voting age to 16 and agree that such arrangements be piloted in Kirklees in order to fully evaluate the benefits and implications. Kirklees Council should work in partnership with Democracy Club to pilot the ways in which data can be used to increase voter awareness and engagement. 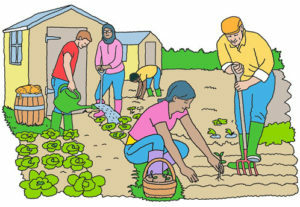 The learning should be used to develop a national standard that all councils should aspire to achieving. 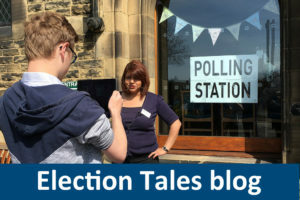 Kirklees Council should improve access to voter information by making polling districts and polling station data available to Democracy Club, in a format that meets their GoldPlus technical standard, in addition to sharing other essential elections data in recommended formats (candidates and election results). 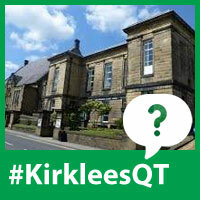 All schools in Kirklees should make their premises available to be used as a polling station on the day of an election. National government should continue to explore all options (for example, online voting, early or weekend voting and registration on polling day) to increase voter registration, accessibility and turnout. National government should consider the importance of local democracy when it is planning and legislating in respect of the timing and sequencing of elections. Local elections are important events and should be recognised as such. We do not wish to see a further dilution of local democracy. National government and the West Yorkshire Combined Authority should plan and sequence Mayoral elections for the region in a way that does not have a negative impact on local democracy. Be clear about the outcomes that national government is seeking to achieve through regional devolution. Provide greater clarity about the role, responsibilities and expectations of an Elected Mayor. Provide greater clarity in terms of the power and responsibilities that exist at the relevant tiers of governance (region, district and local).This should involve more transparency about financial issues. The West Yorkshire Combined Authority should improve the quality and flow of information in order to help citizens and local councillors understand (and have better awareness of) regional issues and their relevance. This should include improving the way in which its democratic content is produced, published and communicated. Kirklees Council should review and improve the ways in which we support senior councillors to carry out their role in the context of the wider region. This should involve improving the information flow, in both directions, between the City Region and local areas. We should also make sure that all our councillors receive timely information about the wider regional devolution agenda. Kirklees Council should engage with local citizens to address the issue of local identity. Local devolution and governance are an ongoing challenge. We should be clearer about our local identity so that we can make a strong and powerful contribution to regional discussions. Kirklees Council should develop local approaches to strategic planning and priority setting (within different parts of Kirklees), based on the findings of our engagement work with citizens on local identity. 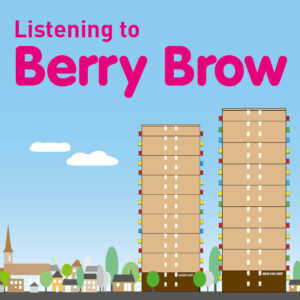 Kirklees Council, together with our partners, should do some pilot work to explore innovative approaches to planning and priority setting in a particular area of Kirklees. This work should make use of some of the successful practice that the Democracy Commission have discovered as part of our work. Being open and transparent and continuing to use the Democracy Commission’s website as a focal point. Adopting a partnership approach where relevant. Continuing a cross-party, councillor-led way of working. Checking and celebrating progress via an annual Local Democracy Summit. Retaining experience, knowledge and continuity by giving the Head of Democracy at Kirklees Council the strategic responsibility for delivering our recommendations.